Russian President Vladimir Putin expressed his condolences to the people and government of Cuba in connection with the death of Cuban revolutionary leader Fidel Castro, the Kremlin's press service said on Saturday. MOSCOW (Sputnik) — Fidel Castro died on Friday, at the age of 90 years old, as announced by his brother, incumbent Cuban President Raul Castro, on state television earlier in the day. "I express to you and to all the Cuban people our deepest condolences over the death of the revolutionary leader, your brother Fidel Castro. The name of this outstanding statesman is considered to be a symbol of an entire era in the modern history of the world. A free and independent Cuba built by him and his colleagues became an influential member of the international community and has served as an inspiring example for many countries and peoples," Putin was quoted in the statement as saying. Fidel Castro was born in 1926 in the Cuban village of Biran. He became the country's prime minister in February 1959, and ruled Cuba as a single-party state until 2008, when his brother Raul Castro took over. 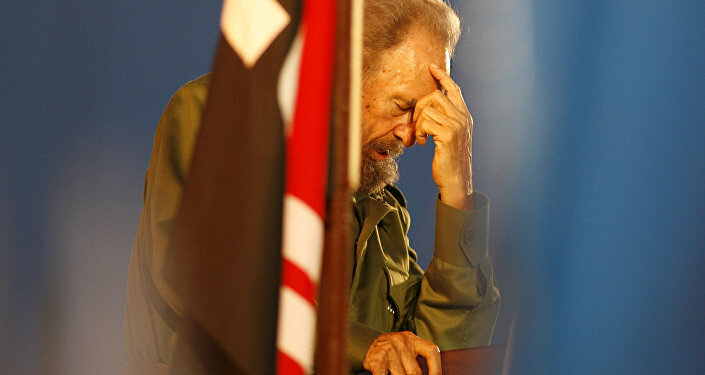 Fidel remained the first secretary of the Cuban Communist Party until April 19, 2011, when he officially announced his resignation from the post. "This strong and wise man always looked to the future with confidence. He personified the high ideals of a politician, citizen and patriot, sincerely believing in the righteousness of what he did and to which he devoted his entire life. His memory will forever remain within the hearts of Russian citizens," Putin concluded wishing Castro's family "bravery and firmness in the face of this grievous loss".